Park City is particularly divided into different developments. So much so that in some parts of town we don’t even bother with the street addresses, we just refer to the subdivision, such as “Three Kings #1.” In this series, I’ll break down different developments, new and old, for your reading and research pleasure. As more information becomes available and milestones are met I will continue to update you. They are getting very close to finalizing many of the details. It’s a condo hotel project (like St. Regis or Stein Eriksen Lodge), which adds another layer of details to iron out. For instance, they need to select who the property manager will be, and once that’s done they can make decisions about common areas and rentals and operations, and once that’s figured out that will inform the final unit sales pricing. New construction is always a lot of moving parts. In addition to the property management component, the architect and interior designer are finishing the design and renderings for the common areas and the definition of the condos below the rooftop pool area. They are hoping to get all of these things figured out because they want to avoid anything other than subtle changes between reservation and contract. They’re now thinking early July for a product release, and by that time they hope to have a draft copy of the CC&Rs, bylaws, condo hotel Rules and Regulations. At the product release they plan to have everything ready: here are the units, here is the price schedule, here are the finishes and furniture. Then they are considering a period of 3 weeks for you to review all the info. At the end of those 3 weeks they plan to start accepting reservations. If you are interested in this project, let me know right away. Where we don’t know exactly what the reservation process will entail, I want to make certain you have every opportunity possible to own in this exclusive development. The marketing is also a fluid concept; this link will always bring you to the most recent version of the sales brochure (but right now it hasn’t been updated since March 1). Click here to sign up for updates as soon as they’re released. Exciting news up at Goldener Hirsch: the site is fenced off and they have begun digging. Even more exciting is that the development team estimates that they are about two weeks out on releasing pricing, and looking at probably early June to begin the reservation process. The marketing is also a fluid concept; this link will always bring you to the most recent version of the sales brochure. I’ll let you know as new information develops! To catch up on previous updates, you can view my blog posts about the project by clicking here. As the 2016-2017 ski season comes to a close (although we had a good storm last night, Snowbird is reporting 17″), we should be seeing more updates, more news, and more changes at the site of the new Goldener Hirsch Residences. The site is fenced off and there is heavy equipment moving snow; digging should start any day now. Even more exciting is that the development team estimates that they are about 30 days out on prices, and looking at probably early June to begin the reservation process. They have also brought on Todd-Avery Lenahan as the designer for the project. Palettes look interesting so far; they’re trying to offer a fresh design but still keep with the European feel of the original Goldener Hirsch. If you are interested in this project, let me know right away. Where we don’t know exactly what the reservation process will entail, I want to make certain you have every opportunity possible to own in this exclusive development. As always, it’s in the details, relationships matter, and luck favors the prepared. The marketing is also a fluid concept; this link below will always bring you to the most recent version of the sales brochure. I’ll let you know as new information develops! Sign up to receive news on Goldener Hirsch Hotel and Residences as it is released. Exciting new project coming online just outside of town. One of the things we’ve been struggling with is a shortage of properties under $700k. These thirty townhouses start in the $450,000s, built by Holmes Homes, and are being pitched as filling the gap in the market. 3-4 bedrooms, 2-car garages, nice floorplans, all the upgrades are built into the price so all you choose is your color scheme. One of the floorplans does have an optional finished or unfinished basement, which is a nice touch. The development team also mentioned they are focusing on keeping the HOA dues low (around $200 a month), which reflects a concern many of us have about how much those dues actually add to the monthly cost of ownership. These are in the same area as the Retreat at Jordanelle, Park’s Edge, and the Stock Building Supply facility. 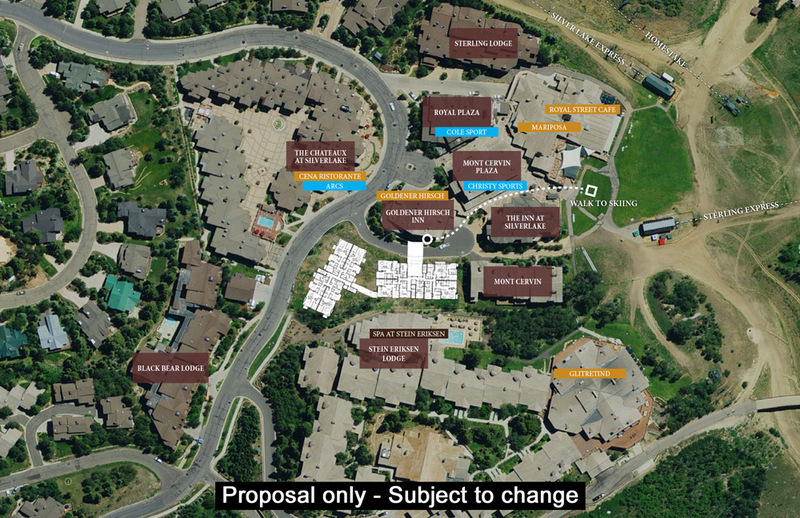 As of right now, 5 of the 10 units in this phase are reserved. It only takes $1,000 to reserve a unit, so if you’re interested, let’s pick a unit and get a reservation in LIKE RIGHT NOW. When you get to the site plan, B1 and D3 were reserved this morning. The developers of Goldener Hirsch Hotel are being very careful with their research, scrutinizing all the details, and making very deliberate choices. And can you blame them? Building a new phase of such a storied brand on the last development parcel in Silver Lake is a very high-pressure endeavor. The overall theme here is that this project will be worth the wait. As such, some of the sales processes are running behind schedule. Though there is a sales office in the lobby of Goldener Hirsch, there is no mockup display because they’re still working on exactly how the exterior will look (let me know when you’re coming to town and I’ll schedule a private tour). But the construction process–the most critical part of all this–is right on schedule, and the footprint of the buildings will not be changing, so when spring comes and the ground thaws physical work will continue as planned. 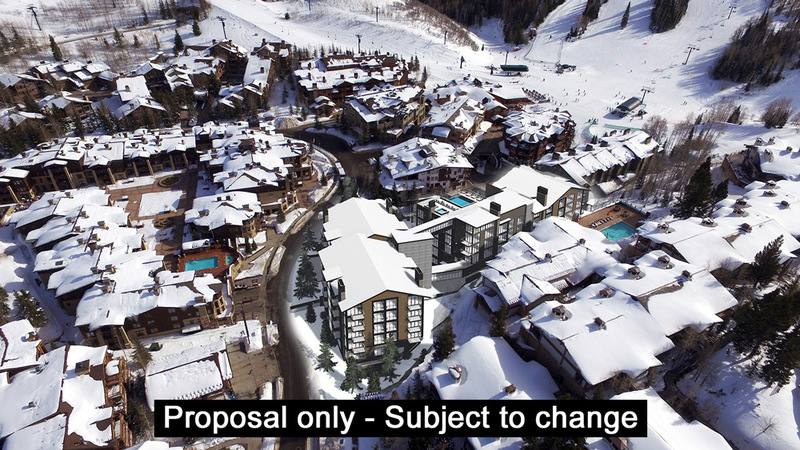 The rooftop pool and hot tub have been swapped from the original concept so the hot tub is now on the south side and the pool on the north side because that will allow for the best mountain views possible from that highest-floor condo. And if you were here this fall and saw heavy equipment working on the lots, it was because at some point in the last 30 years a sewer line had been run straight from Royal Street through one of the parcels and had to be moved. The reservation process is still being worked out as well, and possibly won’t begin officially until spring or early summer. We’re guessing the deposit amount will be significant, probably $100,000. And the competition will be fierce for the top floor units with mountain views; rumor is there are as many as 80 interested parties so far. Pricing is not finalized yet, but I am expecting prices per square foot to match the Stein Eriksen Residences resales, which right now is between $1,275 and $1,538 per square foot. The marketing is also a fluid concept; this link below will always bring you to the most recent version of the sales brochure. Right now the most recent update is from 1/8/17. Expecting the reservation process to begin late February 2017. There will be updates as we move along, and more information is due to be released this month. As usual, you’ll be the first to know when it does!